When you buy a newly constructed home, it’s difficult to predict what amount of property taxes you’re going to owe. In order to get a better fix on this number, talk to the real estate agent about the anticipated value of the lots and how that will translate into a yearly cost. Even if they don’t have exact figures to share with you, they can show you the market demand at the time and that will help you figure out the popularity of the homes. When the houses are fully occupied, it increases the value of all neighboring properties. This results in lower crime levels and the general profits for developers and homeowners. As the equity potential increases with each house, your property taxes may increase as well. This could be proof that your home is worth more than what you owe and is still a profitable investment for you. Even if the real estate market does go down at some point, you’ll have some financial backup in the form of equity with the bank. It might also be possible to get a better idea of future property taxes by talking to the right city office. They can show you a history of general tax revenues for that area, even if the properties were older. This will give you a baseline to work from and will especially help if you’re a real estate investor. Obviously, if you’re an experienced investor, you’ll have your own resources. However, it’s always a good idea to stay on top of current news directly from the agencies themselves. Keep in mind this may not be a monthly payment but it’s a bill you’ll need to pay annually in order to continue as the property owner. If you set aside a certain amount each month along with your regular bills, it may not be such a big hit financially at the end of the year. Also, it will be easier to manage if the taxes do increase over time. As you change your budget each month to accommodate unexpected bills, it’s easier to add a few dollars each time than hundreds of dollars all at once. 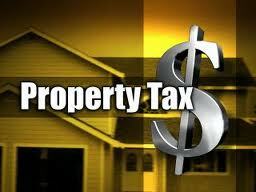 Property taxes are always going to be a part of real estate purchases and they are a good thing. Without them, we would have fewer public services such as emergency help, road maintenance and a variety of other services. The more maintained the city is, the more stable your property values will be over time and this translates into more money in your pocket. Keep that in mind and perhaps they will feel a little less like a drain on your wallet, but instead something to help you create a stronger financial future. « What Does a Real Estate Agent Do?